Not all window treatments offer the same level of privacy or options, so you need to understand the differences. When you begin your search or are ready to narrow your options, speak with one of our representatives to understand the features and benefits that will be most important to you. If you are looking for a window treatment that is stylish and provides the right amount of privacy, consider tilters. There are two types of tilters: blinds and shutters. Blinds can be lifted, but for the most part, the slats are usually tilted open or closed, providing the right amount of light and privacy desired. They add a level of interest at the window and come in aluminum, wood, and vinyl, as well as a variety of paint stains and slat sizes. 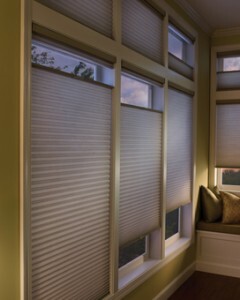 The blind collection includes wood, faux wood, and poly blinds and aluminum blinds. Shutters, on the other hand, have louvers that can be tilted open or closed and panels that can be swung open for full view-through. Mostly, shutters are considered fine furniture for your windows and add value to your home. They are available in wood, faux wood and vinyl materials and in a variety of paints, stains, and louver sizes. 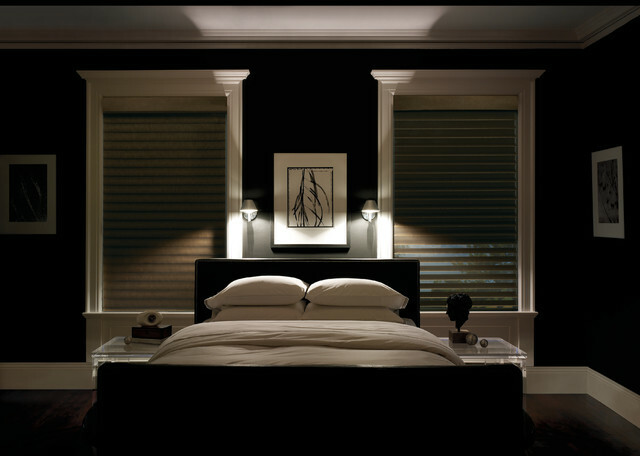 A second window treatment option is the lifter, or shade. Shades either raise or lower to provide full view-through to the outside or privacy. They come in the largest color palette available and in the full range of opacities, from light-filtering to blackout. Perfect for homes that may want blackout shades in the bedrooms, semi-opaque shades in the front room, and semi-sheer or sheer shades to filter light for the back of the house. Shade collection includes: the Honeycomb or Cellular Shades, Roman Shades, Woven Wood Shades, and Roller or Screen Shades. What room or rooms are you planning to hang your window treatments? Does your room face a street, a backyard? Are the window treatments for a bedroom? Why are you covering your windows? To block light? Filter light? or Both? To insulate against cold and heat? Are you concerned about child and pet safety? Know that you know your preferences, you have options! Anything goes! This opens your selection to what appeals to your eye and décor. Maybe you are looking to add a little color or interest to the room or filter out harmful UV rays. Think about how much view you want and if you are interested in lifting or tilting. Honeycomb and screen shades are always great options because of the variety of opacity options. Wood blinds are another good choice because you can control the light by tilting the vanes and add riches to the window. Depending on where you live and what direction your windows face, semi-opaque honeycomb shades or woven woods may just be what you are looking for. For the front of the house, these window treatments help maintain light levels and ensure that people can’t see in. Wood blinds or screen shades may be other great options for the back of the house where view is more important, but you also want to control the amount of light coming in. 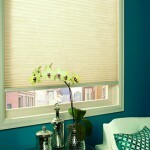 If you want total privacy, there is no better window treatment on the market today than honeycomb blackout shades. They truly block out 100% of the sun (remember to mount them on the outside or add drapery panels on each side if you want no light gap on the sides). Also woven woods or Roman shades with fabric liners would be other good options. If you want to tilt open, consider wood blinds with de-Light™ feature, which eliminate the rout holes, or custom shutters. Roman Shades Can Look Good Both Inside and Out! Roman shades just never go out of style. However, while many of our customers throughout the Lake Ozark area love the look of them from the inside, they don’t like look of the cords running on the back of the shade or the bulk of fabric at the top when the shades are raised. 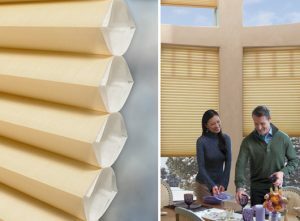 So Hunter Douglas created the innovative Vignette® Modern Roman Shades, which roll, stack, and traverse with no exposed rear cords, providing a clean appearance both inside and out. Take a look at the video below to learn more, and, if you’re interested in Roman shades with consistent folds and no exposed rear cords, stop by the Windows & More showroom in Osage Beach to see full-size displays of Vignette® Modern Roman shades. More and more, we have customers inquire about how their new window treatments can lead to increased energy efficiency. 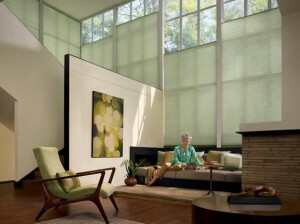 Our first product recommendation to these customers is almost always the Duette® Architella® Honeycomb Shades. There’s just nothing else like these honeycomb shades on the market. With a state-of-the-art honeycomb-within-a-honeycomb design, Architella shades have the industry’s highest level of energy efficiency. 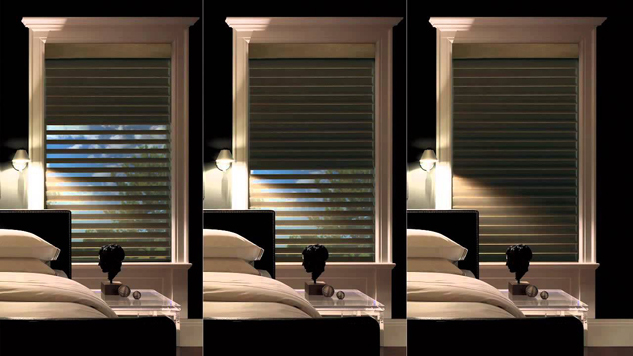 In fact, studies have shown that these honeycomb shades can reduce energy loss by up to 50%! We find that some clients are concerned about the price of Hunter Douglas window fashions. No need to worry! 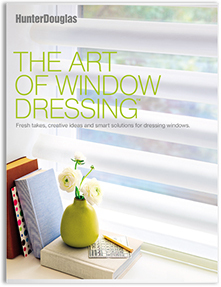 Hunter Douglas offers a wide variety of window fashions at many different price points. At Windows & More serving the Lake Ozark area, our experienced sales consultants will help you select the perfect Hunter Douglas window treatment that will not only meet your functionality and décor needs, but work within your budget too. And when you shop with Hunter Douglas, you can rest assured knowing that all our products are covered by the Hunter Douglas Lifetime Guarantee. 1. What type of window is this for — small window, double hung window, sliding glass door, specialty shape?